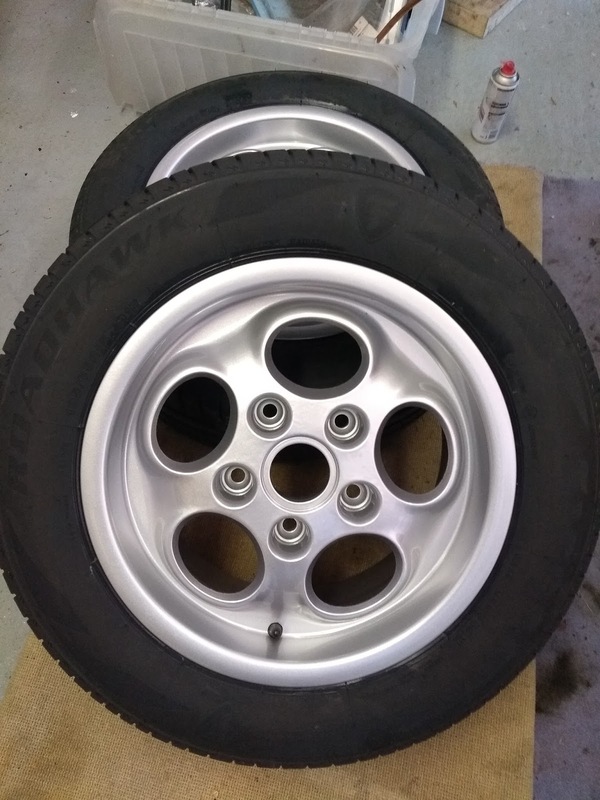 After starting on the centre caps while the teledial alloy wheels from my Porsche 944 were away for refurb I decided to take the plunge and get some new tyres too. 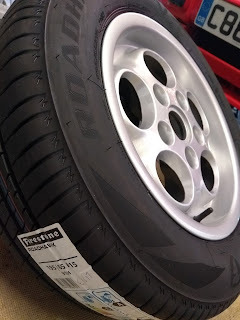 The existing tyres had plenty of tread and were still road legal but after checking the date code on the sidewall it was clear they were well beyond the recommended age. The date was showing 2004 so they'd been on the car for 14 years.